You will work on stroke development, tactics and be match ready in weeks. Register directly at the Front Desk. For more information, contact Brian via email at lakeshoretennis@mayfairclubs.com. Enjoy one hour of intense point play to improve your game and have a great workout. Open to all levels. You can register directly at the Front Desk. For more information, contact Brian at : lakeshoretennis@mayfairclubs.com. Open Mixed Social Tennis for levels 2.5 – 4.0. Contact Brian Clements via email at lakeshoretennis@mayfairclubs.com or register directly through the Front Desk. Come on out and try our Social Tennis Clinics for levels 3.0 – 4.0. Register through the Front Desk. Come on out and try our Social Tennis Clinics for levels 2.5 – 4.0. Register through the Front Desk. You MUST be at least at a 4.0 level. For more information, email Brian at lakeshoretennis@mayfairclubs.com. Group Tennis Lessons for ages 4 – 17 years. We have a couple of spots still open. Register Today! Mayfair Clubs Kids Tennis is an interactive and fun approach to tennis with the use of smaller racquets, smaller courts and an easy to control ball. All participants will be assessed and placed according to their skill level. Juniors will learn to hit basic strokes, such as forehand, backhand, volley, overhead and serve. They will also learn to rally and play competitive games. For more information or to register, contact Brian at: lakeshoretennis@mayfairclubs.com. This is geared towards children who are keen to play more tennis and develop their skills for match play, with on court coaching from our professional coaching staff. We’ll also provide refreshments after every class, and a t-shirt and awards ceremony on the last day. To register, contact Sujit Das, Head Tennis Professional at sdas@mayfairclubs.com. Open to Kids Under 12 – 18 years old | Sundays 2:30 – 3:30pm | $175.00 + HST. This is geared towards children who are keen to play more tennis and develop their skills for match play, with on court coaching from our professional coaching staff. We’ll also provide a drink for them after every class, a t-shirt and awards the last day. To register, contact Sujit Das, Head Tennis Professional at sdas@mayfairclubs.com. $95.00 + HST for full day session. Open to kids under 6 – 17 years old. Session occurs on Fridays from 9:00am – 4:00pm. Fill your child’s P.A. days with tennis and other engaging activities. To register contact Brian via email at: lakeshoretennis@mayfairclubs.com. Squash Singles House Leagues | It’s not too late to sign up! Why not let us take all the work out of arranging a game of squash for you. Simply let us know which House League you want to sign up for Monday or Thursday and then be prepared to show up. We do the rest. Cost is $69 + HST for the winter session that ends in March. Sign up by emailing lakeshoresquash@mayfairclubs.com. This is the time to get your child into playing squash. Please fill in a registration form (available at the Front Desk or at Mayfairclubs.com). Space is limited. Looking for a lunchtime squash game? Want to Start On Squash? Racquets will be provided. Sign up at front desk or email lakeshoresquash@mayfairclubs.com. The Elite Small Group Training program is expanding its weekly schedule adding an additional 3 classes. The Elite Small Group Training program offers training to our members in a small group environment, led by our training team. Each class will have a specific focus in terms of training method, this includes, Strength and Conditioning for Athletes, Boxing and Kickboxing. For more details please contact Fitness Manager Darryl Jinks djinks@mayfairclubs.com. The Group Reformer Program is led by trainers Amy Hampton and NEW Pilates Trainer Samantha Lazzarro. Each class offers a balanced variety of training to improve mobility, stability, core and postural muscles. For more details please contact Fitness Manager Darryl Jinks at djinks@mayfairclubs.com. With Winter now here, golf improvement season has now begun. With new PGA of Canada professional Andy Carriere and Mike Rivet on the team we offer all lesson types, from private to learn to golf clinics and junior programs. To learn more about our programs, our pro’s and/or the facility, please contact Fitness Manager Darryl Jinks at djinks@mayfairclubs.com. Register today by emailing Fitness Manager Darryl Jinks at djinks@mayfairclubs.com. Family and Youth Yoga – These classes are for the whole family…Become more aware of your body’s posture, alignment and patterns of movement. Yoga makes the body more flexible and regular practice helps relieve stress. Using your own body weight for resistance, yoga unites the body, mind, spirit and family! See the full group exercise schedule at mayfairclubs.com. This class combines the flexibility, strength and power of Yoga with a High Intensity interval Training (HIIT) format. The benefits include cardiovascular enhancement, mobility, balance and control. This is a great class not to be missed. See the full group exercise schedule at mayfairclubs.com. Mayfair Lakeshore has a growing swim program from tiny tots to adults. The swim program caters to all levels and works on the one-on-one approach. For more information please contact the Aquatics Manager Kiera at lakeshoreaquatics@mayfairclubs.com. Mayfair Lakeshore runs a swim team program which works on strokes, endurance and more. Swimming with a team encourages students to work on fitness, competition and personal relationships with others. more information please contact the Aquatics Manager Kiera at lakeshoreaquatics@mayfairclubs.com. Register Today! Here at Mayfair Lakeshore we are running a Splash and Laugh P.A. 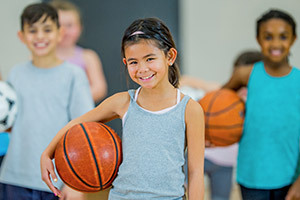 Day Camp on Friday February 15th. The camp consists of arts and crafts, sports, games, cooking class, and SWIMMING! Ages range from 4 to 10. For more information please contact the Aquatics Manager Kiera at lakeshoreaquatics@mayfairclubs.com. Only $35 per class. If you’d like more information, contact Sandra at lakeshoresports@mayfairclubs.com. Download our online brochure for more details! Calling all Junior Jays! Mayfair’s baseball athletes swing for the fences in a 10 week program that calls on both veteran and beginner players. Mayfair’s coaches put your athlete through both fielding and hitting drills that hone in on building sport proficiency and game strategy. Athletes focus on the fundamental skills necessary to be successful on and off the field with comprehensive activities designed to develop both new and experienced athletes. Class is appropriate for ages 5-12. Download our online brochure for more information and to register. Our Junior Golf Clinic offers your child a place to learn golf from certified golf professionals in a fun and motivating environment. Athletes in the program work on sport proficiency in a blend of activities to improve their game on and off the course. Hourly semi private clinics are available on both Saturday and Sunday mornings. This clinic is appropriate for kids aged 5-17 years. Maximum of three students in each session (minimum of 2 to run program). If you are interested in a time slot that is not listed, we will consider adding if there are at least two children for the new time slot. Download our online brochure for more information and to register. Ages 3 and up. We offer popcorn & drinks. Total cost is $12.00 per child with pass, no pass $14.00 plus HST. For more information contact: 416-466 3777 #2243 or email abrinkis@mayfairclubs.com. Ages 18 months & up. Leave your little ones with us while you enjoy a night out! Kids will enjoy dinner and will have fun playing organized games. $18 per child. For more information contact: 416-466 3777 #2243 or email abrinkis@mayfairclubs.com. Tiny Tots Mini Program is a half-day program for children between the ages of 2 to 5 years old. Children will enjoy skill building activities, such as cooking classes, squash clinics, fun games and creative time. For more information contact: 416-466 3777 #2243 or email abrinkis@mayfairclubs.com. DON’T FORGET TO BOOK YOUR NEXT BIRTHDAY PARTY WITH US. Come join us on our first road trip to Niagara. Relax and enjoy as you are driven there and back in the Mayfair Clubs bus! The itinerary includes stops at two wineries along the way and a delicious lunch in Niagara on the lake. In the afternoon we will arrive at the Niagara Fallsview Casino where guests can enjoy 3hrs+ at the Casino or take in the sights and sounds of Niagara Falls. For more information email sbarrett@mayfairclubs.com. Register at the front desk! Mayfair Lakeshore Level 2 Bridge Lessons, with World Champion, Daniel Lavee. The program is the third phase of Daniel’s coaching curriculum and is 4 weeks long. Maximum of 32 players. Cost: Members – $125 + HST and Non-Members – $150 + HST. Register at the front desk! Join our afternoon bridge program and learn all you need to know about the game from World Champion, Daniel Lavee. These lessons are suitable if you have never played bridge before. Cost: Members – $125 + HST, non-members – $150 + HST (Daniel Lavee’s Booklet is included). Register at the front desk! Join our new Lakeshore Bridge Club. Choose to play Monday nights – alternating each week. Players should be experienced and/or completed bridge level II with Daniel. Maximum of 24 players per night. Cost is $120 members and $145 non-members for 8 weeks. All players enjoy a 20% discount in the bistro on Bridge Nights (Food only). Register at the front desk! Another new card game comes to Lakeshore! Come play hearts every other Tuesday night. New and experienced players welcome. All players get 20% off food in the bistro. Maximum of 24 participants. Members and non-members welcome. Please register at the front desk. So much fun and great prizes! All players get 20% off food in the bistro. Maximum of 24 participants. Members and non-members welcome. Please register at the front desk. Max 24 people per night. Players enjoy 20% off food in the bistro and a free drink each night. Members and non-members welcome. Member Fee – $19 + HST per night. Non-Member Fee – $23 + HST per night. Register weekly at the front desk. Texas Hold’em Poker Night with over $250 in prizes! Open to members and non-members Maximum of 24 players. No Entry Fee. $25 food & beverage purchase minimum per player. Bring a friend and get $1,000 in Bonus Chips! Register at the front desk or contact sbarrett@mayfairclubs.com.